Our dogs for sale are friendly and have training for a variety of home and work environments. When it comes to choosing a family pet, your kids may be thinking “puppy” and you may be thinking “hard work.” If the idea of training a dog along with all of your other responsibilities seems like a hassle, let our team at Dogs By Andy K-9 Services help! In our care, we have dogs for sale that are already properly trained to be the perfect family dogs, as well as protectors, so you feel confident your home and your family are safe. The best part is, you didn’t have to do the work! Our dogs for sale have already been trained to do the job you need them to do! View our trained dogs for sale. From time-to-time, we have puppies for sale. View previous dogs we have sold. When you come to learn more about our dogs for sale, you will find that they are friendly and have personal protection training for a variety of home and work environments. In fact, at Dogs By Andy K-9 Services, we have a 100% satisfaction guarantee, so if you ever notice your dog is regressing, we’ll complete training again at no cost to you. We are confident you’ll love your new dog, and as part of the Dogs By Andy Family, we’ll make sure you are completely satisfied. If you are considering a new dog for your family or for personal protection, come meet our dogs for sale. We’ll discuss your needs and help you choose the perfect dog who is a friend, protector, and companion for any situation. Without the burden of training, you can sit back and relax knowing you have the perfect dog on your hands. 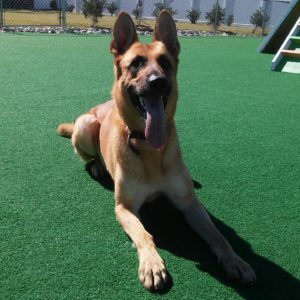 When you come to meet our trained dogs for sale, we can assist you in choosing the right dog for your needs and your family in Huntersville. If you are like many people, you often wish your dog came perfectly trained without you having to do any work. At Dogs By Andy K-9 Services, we offer dogs for sale to residents of Greensboro, Charlotte, Concord, Huntersville, Cornelius, Gastonia, and the Mooresville, North Carolina area, including Myers Park, Weddington, Ballantyne, and SouthPark.